How to Build an Empire with Loans? If you are looking to make a mark for yourself and thinking of building an empire than getting a loan at right rate of interest is the most important activity in your life. 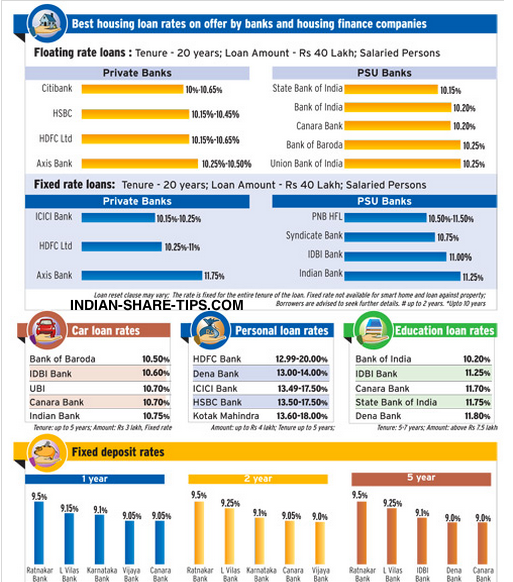 Do not take a loan without checking this image below which shows you the current status of loan rates varying from home loan to auto loan, personal or education loans. Check out why we are dead against buying a car on loan unless it is a zero percent rate. Subscribe for our free finance market tips here.